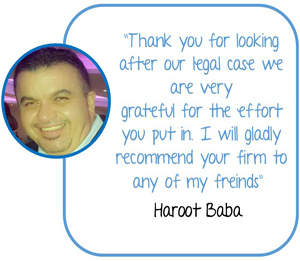 If you are not satisfied with a visa decision you receive, you may be able to ask for the decision to be reviewed. Not all decisions are ‘reviewable decisions’, but the department’s decision-maker will advise you in writing if the decision is reviewable, and what steps you can take if you want to ask for a review. Most visa decisions with a right of review are reviewable by the Migration Review Tribunal (MRT). Decisions about deportation and citizenship are reviewable by the Administrative Appeals Tribunal (AAT). Decisions on onshore protection visa applications are reviewable by the Refugee Review Tribunal (RRT). Business-related sponsorships and nominations for temporary business entry visas, and employer nominations for permanent entry, are reviewable by the MRT. Visitor visa applicants intending to visit Australian citizen/resident relatives may have a review right – again a decision-maker will advise of what review rights are available. Subclass 200 (refugee) visas cancellations, where the holder is in Australia at the time of cancellation, may also be reviewable by the MRT. Offshore humanitarian visaapplicants do not have a review right, but applicants for onshore protection visas (using form 866) do have a right of review by the RRT. The Migration Act 1958 (Cth) and the Migration Regulations specify which decisions the tribunals can review, who may seek review of a decision, how an application for review must be made, the time limits within which applications for review must be lodged, and whether an application fee is payable. The rules vary depending on the type of matter. The tribunals cannot accept an application for review lodged outside the relevant time limit or which has been lodged by a person who is not entitled to apply for review. Depending on the decision under review, the person applying for review must be the visa applicant, the former visa holder, the sponsor or a close relative. When your case is given to a tribunal member to conduct the review. While cases are generally allocated in priority and date of lodgement order, cases may from time to time be allocated out of order of lodgement as part of a taskforce or targeted approach. Such allocations enable batches of cases raising similar issues to be dealt with more efficiently and allow the tribunals to deal with a greater volume of cases than would otherwise be the case. The following table gives a guide as to how long it may take based on actual processing times. The table is a guide only and does not guarantee that any individual matter will be heard in these timeframes. Other average process time is 142. When will my case be given to a tribunal member? Cases are allocated to members according to priorities set by legislation and in directions issued by the Principal Member. What happens once my case is with a tribunal member? 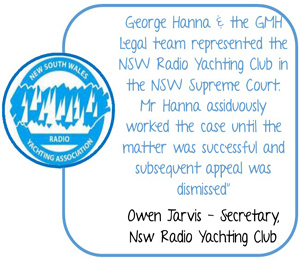 Once a case has been allocated to a member, the member will decide how to proceed with the review. For information about the review process and ways you can help ensure your case is handled efficiently see Principal Member Direction Efficient Conduct of Reviews. Why do cases take so long? The tribunals have experienced very high levels of lodgements in recent years and have many applications for review. This has impacted on processing times and may continue to do so for some time to come. It is important to note that the time taken to make a decision on your case depends on a number of factors, including when you lodged your application for review, the total number of applications lodged with the tribunals in the same period, the type of decision to be reviewed, the complexity of the case and the average processing time for that type of review. Can I apply for priority? RRT cases are automatically allocated priority processing. You may write to the tribunals requesting that your MRT case be considered for priority constitution. 8:30am to 5:00pm on weekdays. Applicants located outside the Sydney or Melbourne metropolitan areas who need help or more information from the tribunals can telephone 1300 361 969. Local call charges apply, more from mobile telephones. Applicants located outside Australia who need help or more information from the tribunals can telephone New South Wales Registry on 61 2 9276 5000 or Victoria Registry on 61 3 8600 5900. International call charges apply. The Commonwealth Government, through the Department of Immigration and Border Protection, provides a Translating and Interpreting Service (TIS) for people who do not speak English and for English speakers needing to communicate with them. TIS is available 24 hours a day, seven days a week. Within Australia, telephone 131 450 to contact TIS for the cost of a local call. From overseas, telephone 61 3 9203 4027 to contact TIS for the cost of an international call. To many the review process can be very daunting. 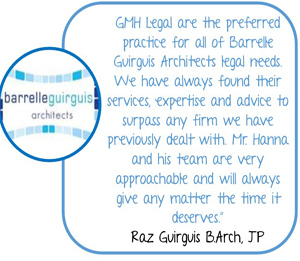 Our registered migration agents and solicitors at GMH Legal are able to use theirs skills and experience in order to assist you to put the best case for review forward. 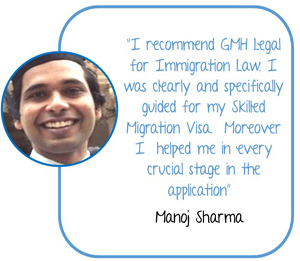 Our registered migration agents understand the procedural guidelines of the Tribunal and be able to assist in guiding a Member in reaching the best and preferable decision. 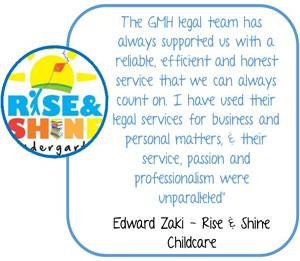 Our registered migration agents makes use of past Tribunal decisions and refer to case laws in making strong written and oral submissions on behalf of our clients. Advise you on the overall process – what to expect on the day, your chances of success, time frames for hearing and decision, etc. 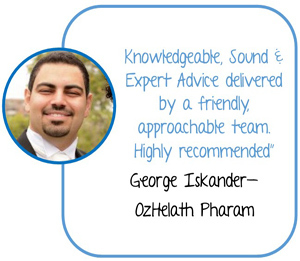 If you would like to have your situation assessed, please feel free to contact us to arrange an initial assessment session.